> AO2013 Qualifying Rounds live! James Blake is playing in the Qualifying Rounds at this year's Australian Open. 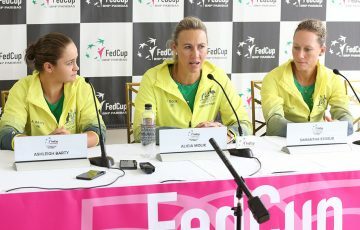 Watch the live stream on YouTube or at australianopen.com starting 10am on Wednesday, January 9. The AO2013 Qualifying Rounds are being played at Melbourne Park where access is free.